When you have asthma, any upper respiratory infection -- like a cold or the flu -- can affect your lungs causing inflammation and airway narrowing. It is important to take measures to stay healthy and be aware of any asthma symptoms, even mild, so that you avoid a more serious asthma attack. Call your doctor if you experience any of the warning symptoms of an infection that can trigger asthma (listed below). Also call your doctor if you have any other symptoms of an asthma attack that cause concern. How Can I Prevent Infections That Trigger Asthma? Good hygiene can decrease viral infections. Prevent the spread of infection by making sure you and your family members wash their hands regularly with soap and warm water. Check with your health care provider about receiving a flu shot every year. In addition, discuss the possibility of getting a pneumococcus -- or pneumonia -- vaccine. Pneumococcus is a common cause of bacterial pneumonia, an illness that can be particularly serious in a person with asthma. Sinusitis with asthma can be very serious. Be aware of the symptoms of a sinus infection and report them immediately to your asthma specialist to prevent asthma attacks. Keep breathing equipment clean. 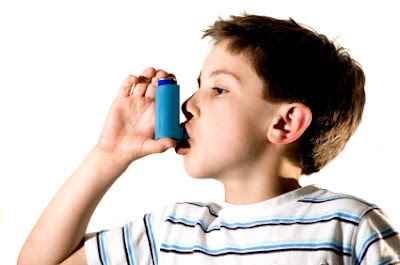 Do not let others use your asthma medications or asthma treatment, including your asthma inhaler, asthma nebulizer, and nebulizer tubing and mouthpiece. What Do I Do If I Have an Infection? If you have asthma and are showing signs of an infection, call your doctor immediately for advice on preventing asthma symptoms.